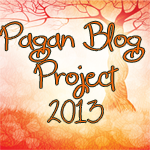 For this week’s Pagan Blog Project post, I wanted to do something special. So I interviewed JD Aricchi, a friend of mine who is making his first foray into publishing with The Ethereal Oracle. Me: Thank you for taking the time to do this interview. 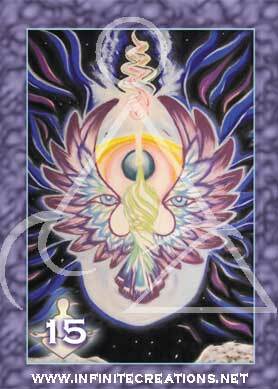 You have a new oracle deck coming out soon. When will it be available? JD: The official release date is 3/11/13, but pre-order specials are going on now. Me: Tell me more about this deck. What makes it special? 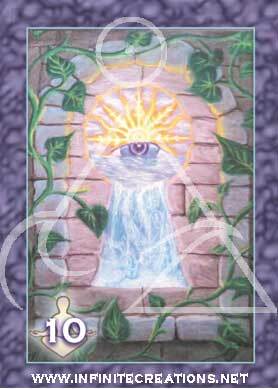 JD: This is an original oracle deck created from a selection of 45 pieces from over ten years of intuitive art as spirit art pieces. The deck is based on universal concepts. The mind/body/spirit balance coupled with color. It has no real boundaries of ideology. 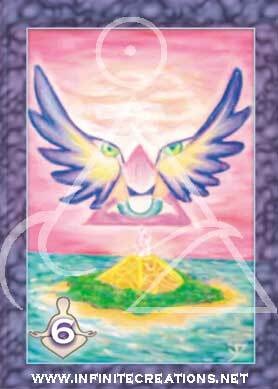 Additionally, the downloadable book that will accompany the deck will include detailed insights on the card meaning or representation in many typical placements or positions and purposes. Me: You said the deck is made up of spirit art. What can you tell me about your work? JD: My artwork is created for the purpose of guidance for the individual it is created for. Initially, there was an intended recipient that the piece was created for. However, it is the energy and what the picture conveys on various levels of consciousness that is ultimately at work. Being energy, it can have an equally substantial meaning for any other person viewing or experiencing it. It is similar to interacting with a gemstone. I use a general “map” or guideline to interpret the work which is outlined in the book and in my workshops. Me: The creation of this art seems to be a very intuitive process. JD: Indeed, but maybe not how some may think. Initially I wrote the name of the intended recipient on the sketch. I think of the name and close my eyes and I get a general shape to start. I then begin to sketch constantly onto the paper and eventually the negative spaces and the images appear. Many times when I begin a drawing or art piece, I see lines of light or shadow on the paper and literally just follow them. Me: How did you choose these 45 pieces? JD: The selection process had many components to it. One component was allowing for purpose, like divine order, to intercede. Visually, which would make for a good card image and has enough depth to apply its meaning to different situations. As opposed to some images that would only have purpose for a specific, or limited, circumstances. I feel the purpose of this deck, as well as my work in general, is to give more information than answers, to empower actively choosing the present moment, and information or guidance to assist our choices in co-creating our internal and cumulative worlds. Me: Your work is incredible. Where can we get a copy? JD: On my website, www.infinitecreations.net or on several metaphysical shops listed on my website. Me: Can my readers contact you for a reading through your website? JD: Absolutely! They can also contact me through my Facebook page, Infinite Creations by JD LLC. On the web they can order spirit drawing or art. Both include written interpretations. Me: Thank you very much for your time. Is there anything else you would like to add? JD: This is the first of three planned decks. 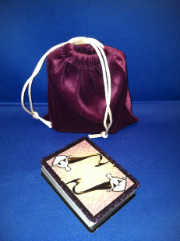 This first series of the Ethereal Oracle is going to be a limited quantity. Thank you for your interest. So there you have it. I encourage you to go online to www.infinitecreations.net and reserve your copy today. I have already pre-ordered mine and can't wait! Merry Meet, I am new to PBP, the artwork on this deck is beautiful. Thank you for this post.